People often ask why they should book their Disney vacations through Magical Details Travel/Once Upon a Time Vacations vs. Disney directly or a mega site such as Travelocity. The answer is simple. Because we “know” Disney, and we truly care about your vacation experience. We know that a Disney vacation, or any vacation for that matter, is not an every day occurrence , and we want to make sure that the vacation you take is as close to your dreams as possible, and fitted to the needs of your family. The pricing we provide you is probably going to be exactly the same as what you would obtain from Disney direct. However, the difference is in the personal service that we offer. When you book through Disney directly, or a travel wholesaler, you are already paying a built in surcharge whether you realize it or not. And what you get for that surcharge is, well, a resort reservation. That’s it. When you book your vacation through one of our travel specialists you pay the same amount (sometimes less depending on what available discounts there are at the time of booking), but are also receiving the personal attention of a dedicated travel specialist. A specialist who is dedicated to you, and focused on fulfilling your needs. Simply let us know what you are looking for are we will do our very best to implement it – along with some advice and/or suggestions along the way. We are not only here to help with your initial reservation, but we will also make your Advanced Dining Reservations, see to your special requests, create custom itineraries, and answer any and all questions throughout the planning process, and while you are on your vacation. We also keep a vigilant eye on new discounts and special offers to ensure that the vacation you have dreamed of comes to you at the best possible price point. And, no need to worry! You are still in control of your own vacation. Our aim is to work with you to plan and implement the best possible vacation experience. The vacation that you want. Whether you are a Disney Pro, and have visited 100 times, you can still benefit from working with a vacation specialist. And, best of all, when you book through Magical Details Travel/Once Upon a Time Vacations, you are supporting a small business. A business run by moms with a passion! Already made you reservation? We can still help you out! 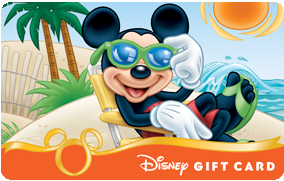 Once Upon a Time Vacations is proud to bring you our Gift Card offer for anyone who transfers their existing Disney booking to Once Upon a Time Vacations! All Walt Disney World, Disneyland, Disney Cruise Line and Aulani bookings that have a balance due can be transferred without interruption or change to your reservation. We will present you with a $25 Disney Gift Card for your transfer. Travel must be within 2013, gift card will be given once trip has been paid in full. Offer also valid on any NEW reservations made through Once Upon a Time Vacations prior to February 28th as well! Ready to get started!? Visit us at Once Upon a Time Vacations or find us on Facebook at Once Upon at Time Vacations – Destination Central or Magical Details Travel.